Having business auto insurance is not as complicated as many think.. In many cases, business auto insurance is cheaper than a standard car insurance policy. To some, such task is mentally draining or synonymous to headache. The thing that made this task difficult to perform is the thought that your business is very important, and it needs to be taken care of delicately. We are not saying that it is not but with the available resources today, no such task can be that difficult for someone who has the patience to explore and the knowledge of how to do things efficiently. As some people view this as hard as they perceive it, a bunch also thinks of it as unnecessary or simply, nonsense. But with this particular article, we will discuss how simple and how important it is for you to secure business auto insurance, to protect not just your business but as well as yourself and your employees. First of all, let us remove those negative misconceptions with regards to buying business auto insurance. It is very important for us to understand its significance and of course the fundamentals of insuring your business. So, what you need to have your business “fully covered”? As an unspoken rule in protecting your investments, each business should be covered with general liability, property and workers compensation insurance. The first type will take care of the damages made to a third-party. In your business this means your clients and their properties. Property insurance will cover your physical assets and the entire belongings pertaining to your business. While workers compensation is an insurance coverage that will safeguard you from harm obtained through losses when one of your employees will unfortunately experience job injuries. Business is an investment, and whatever the size of it, all your assets pertaining to doing business shall be protected and if possible, should not be exposed to any impairment. The world is unpredictable, accidents and disasters could happen anytime. And it is of this reason that you, business owners, shall not let passed the idea of securing business property insurance. 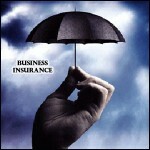 Insuring your business is protecting your life as well, and the life of your endeavor. Choose an insurance company that will give you the best insurance. This is for you to prepare any unforeseen events, how big or small can greatly affect the outcome of your undertaking when you are uninsured.